Today, Nokia chimed in on their Amber update for Lumia Windows Phone 8 devices and answered a few questions. They also noted that the update would reach all Windows Phone 8 Lumia devices by the end of September. In the list, I can see both ‘coming soon’ and ‘waiting for approval’. Which is best/soonest? An important question indeed. When the software update is ‘waiting for approval’, it is still being processed in the final testing. ‘Coming soon’ is better for you, as we then already have approved the software and are doing just the final tweaks before releasing it. We’ve now added some explanation to our support pages too. Why doesn’t everyone get the update at once? To ensure the software update meets our quality standards, we’re running multiple tests with various country variants and operators. We make the updates available to you as soon as we complete testing. With Lumia Amber we expect to have the update arriving in all Lumia Windows Phone 8 phones by the end of September. Be patient – it’s coming! Do all models get the ‘double tap to open’ and ‘flip to silence’ features? Many features, like ‘double tap to wake up the phone’, require certain hardware specifications to be available on the phone. Not all of the Lumia Amber features are compatible with all Lumia phones. For these reasons, the ‘double tap to wake up the phone’ feature is not supported on Lumia 720, Lumia 720T, Lumia 625, Lumia 620, Lumia 521, Lumia 520, or Lumia 520T. ‘Flip to silence’ on the other hand is available to all Lumia Windows Phone 8 phones so you can just mute an incoming call alert by turning the phone face down. Why isn’t Pro-camera available for Lumia smartphones below the 9xx models? 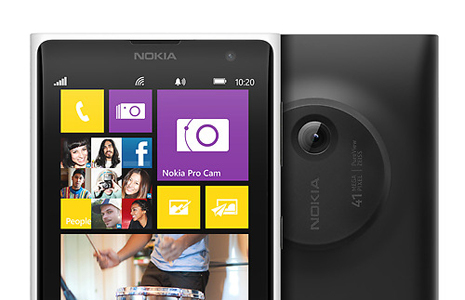 Nokia Pro Camera is a high-end imaging application that requires a lot from both hardware and software. Therefore, we have initially optimized the application for the high-end Lumia smartphones, including the Lumia 920, Lumia 925 and Lumia 928. How do I use the FM radio app? And how do I make it play through the speaker? And will it work on the Lumia 620? To enjoy the FM radio, go to ‘Music + Videos’, plug in your headphones and launch the radio app. FM radio requires the headphones for the antennae, but you can choose to play the radio through the speaker. Long tap anywhere on the radio player page and choose ‘switch to speaker’ from the menu. Also, please note that the Lumia 620, Lumia 810 and Lumia 928 do not have the FM radio chip. You can also check for the availability status of the update in our support pages. For regional information, see the ‘Availability in …’ subsections on the menu at the left of the page.